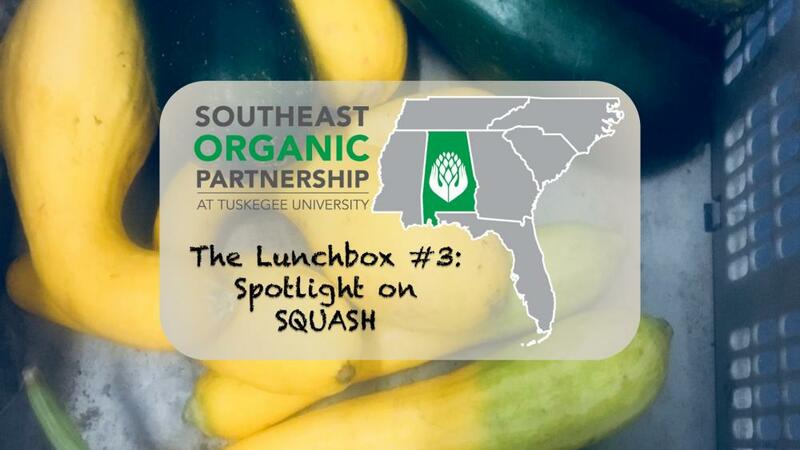 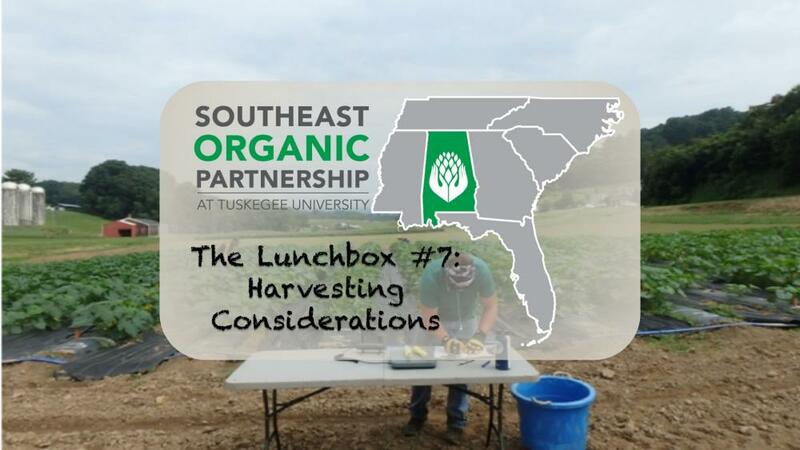 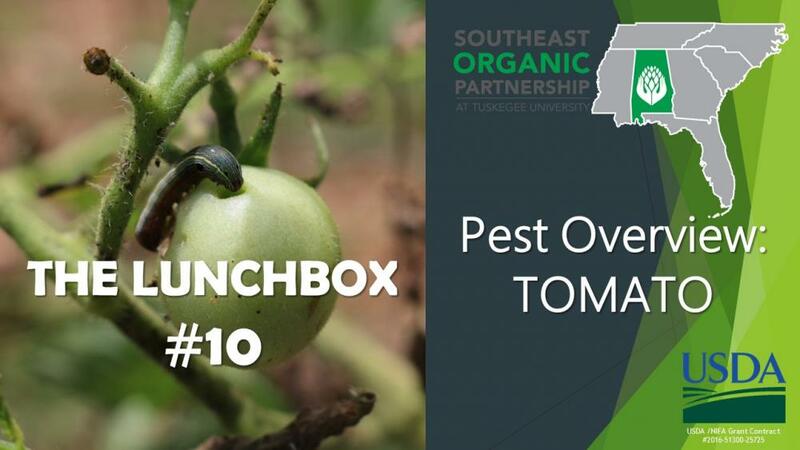 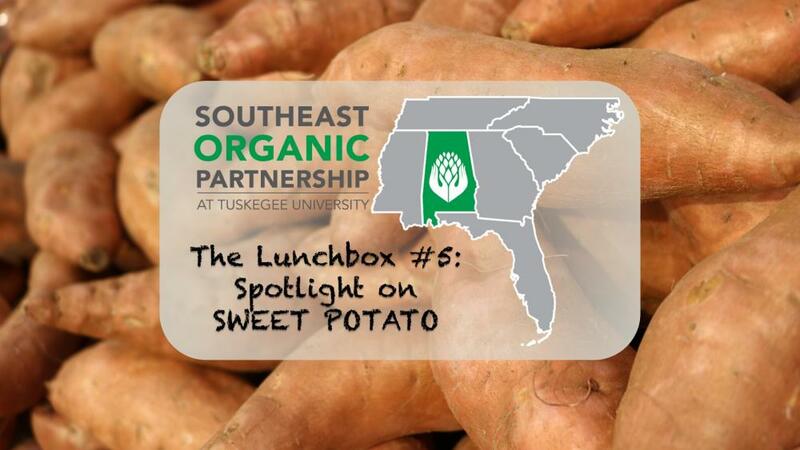 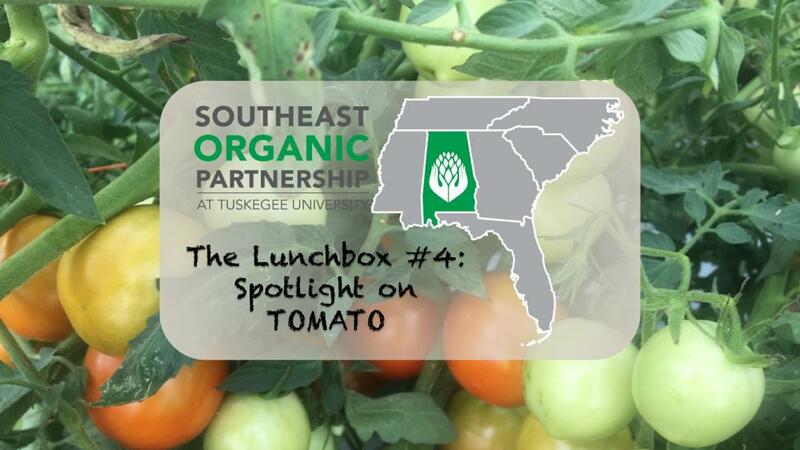 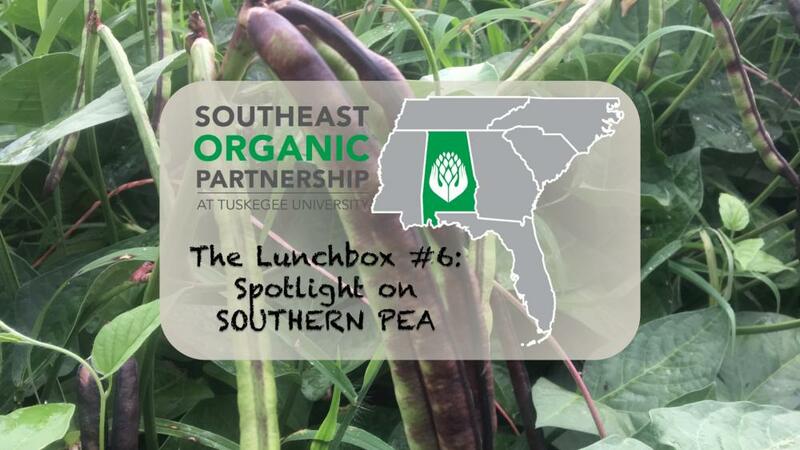 The Lunchbox is a series of virtual meetings with partners of the Southeast Organic Partnership at Tuskegee University. 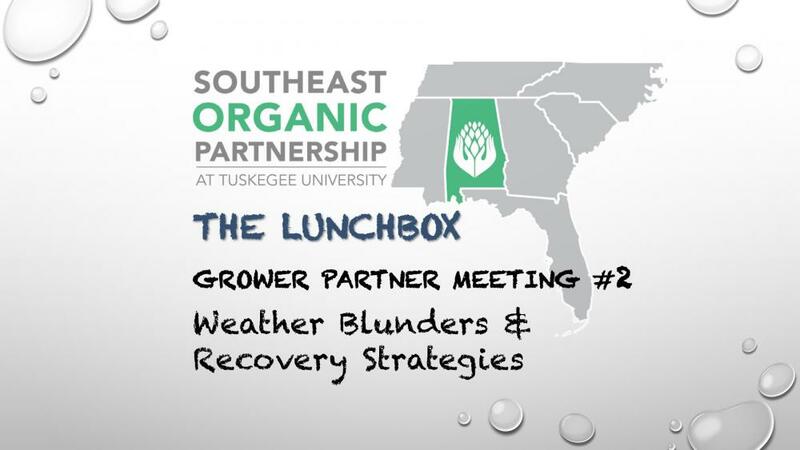 These meetings bring together collaborators on the Organic Research and Extension Initative grant with the 36 farmers who are hosting organic research plots on their farms. 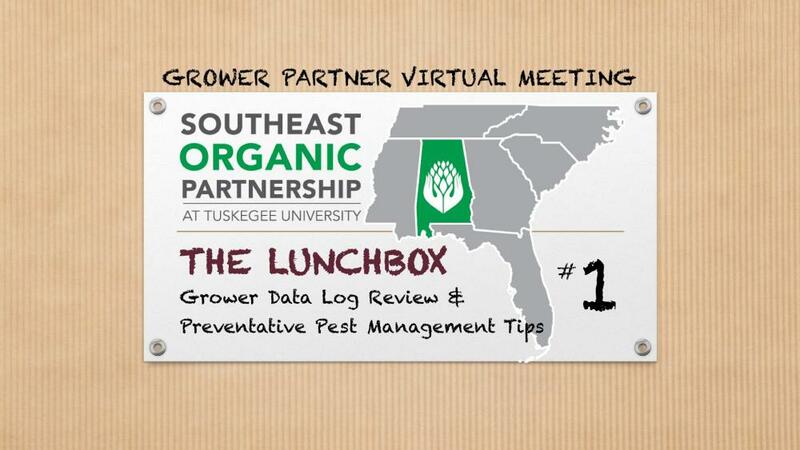 Topics have included: tracking research data with grower data logs, dealing with the weather blunders of 2018, pest/disease management for each study crop, harvesting recommendations and there will be more to come. 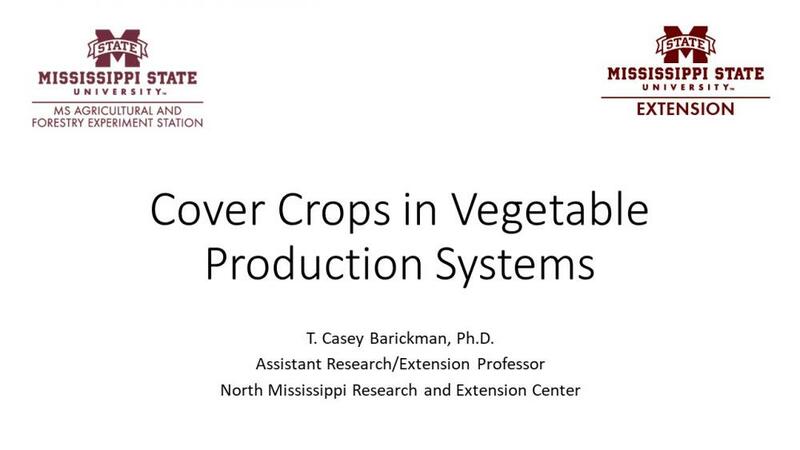 Click on the pictures to watch the recordings.